As the first in the industry, Besi Switzerland introduces the Z-Pattern© for small die bonding in the range of 0.8 - 1.5 mm, achieving unbeatable UPH rates. 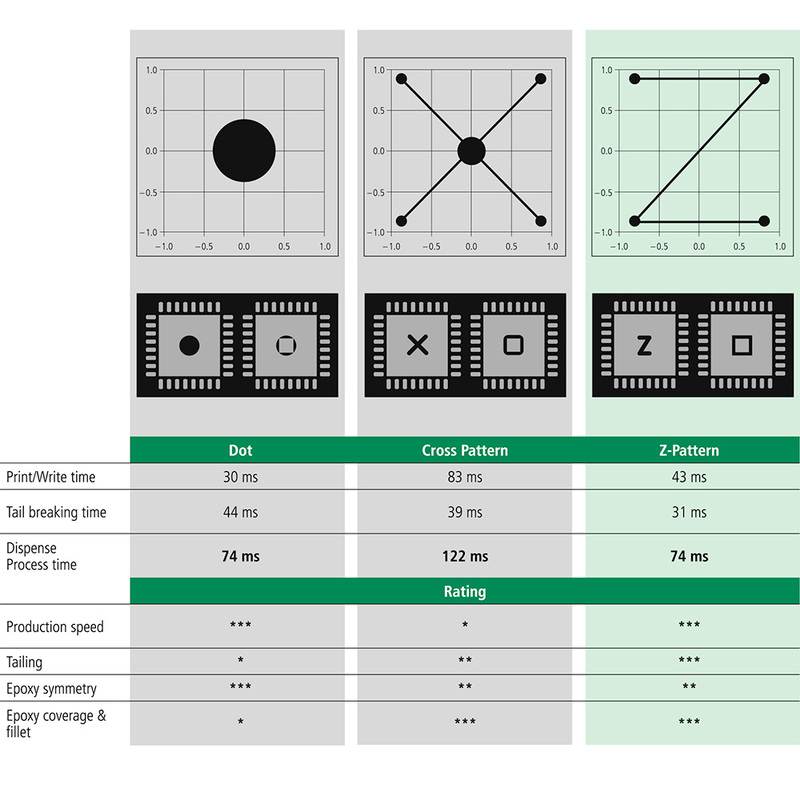 The new process combines the strengths of both, the process quality of a cross pattern with the UPH performance of a single dot with the process quality of the cross pattern. As one of the leaders in die attach for more than two decades, Besi Switzerland is committed to surpassing its customers’ needs by constantly setting new industry standards in die attach. 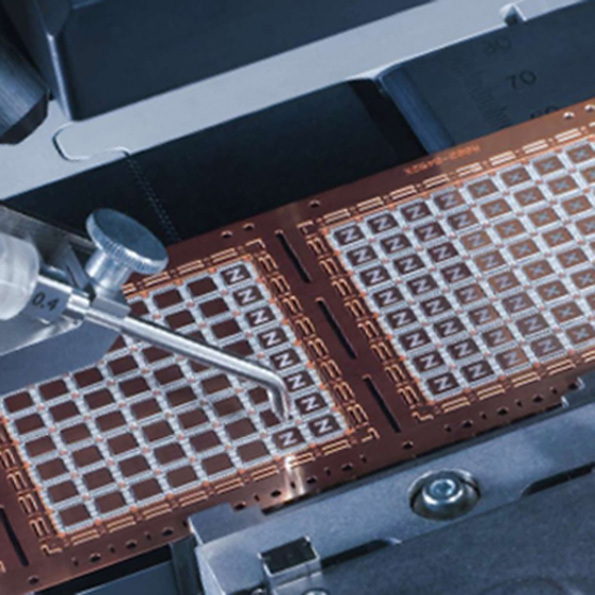 With its latest die attach platform, the revolutionary Esec Die Bonder 2100, Besi Switzerland demonstrates time and time again its innovation strength. As the first in the industry, Besi Switzerland introduces the Z-Pattern© for small die bonding in the range of 0.8 - 1.5 mm, achieving unbeatable UPH rates. The new process combines the strengths of both, the process quality of a cross pattern with the UPH performance of a single dot with the process quality of the cross pattern. The dispense process is faster compared to the cross pattern and also more stable due to its shorter tail as the time needed to break the tail is significantly reduced. It is also easier to control the tail, as the dispense nozzle moves only once to the tail position instead of 5 times in the case of a cross pattern. The new Z-Pattern© is a valid alternative to the traditional dot and cross pattern used for small die in the range of 0.8 - 1.5 mm. The Z-Pattern© is implemented (SW R 2.3 and higher) in the autocalc pattern selection of the Esec Die Bonder 2100 platform in order to achieve the best small die bond quality at highest throughput. This new process has already been successfully introduced in the market and has passed the test during actual production.